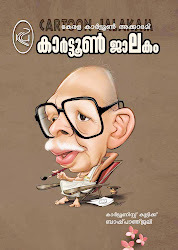 Shri P.V.Krishnan was born in 1943 at Aroli, Kannur District Kerala. 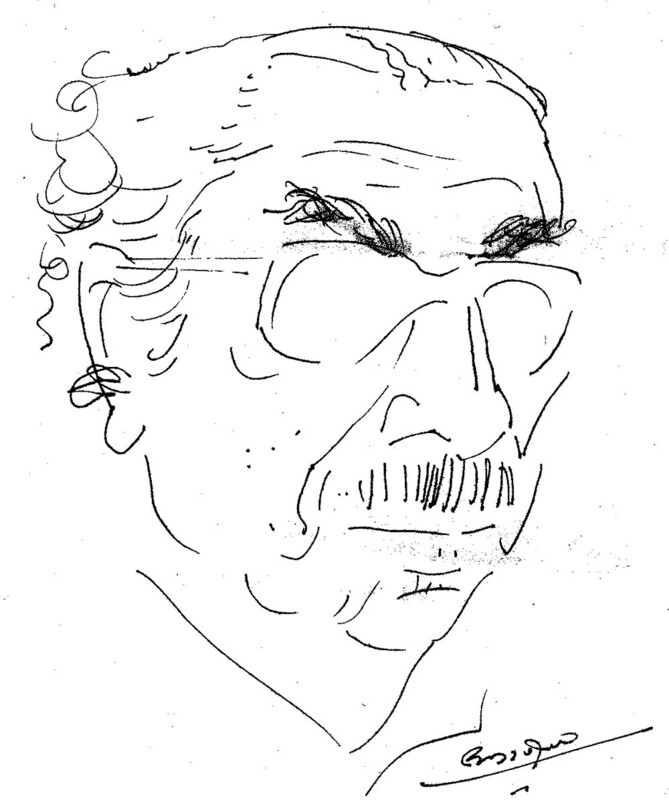 Started his career as an art teacher. 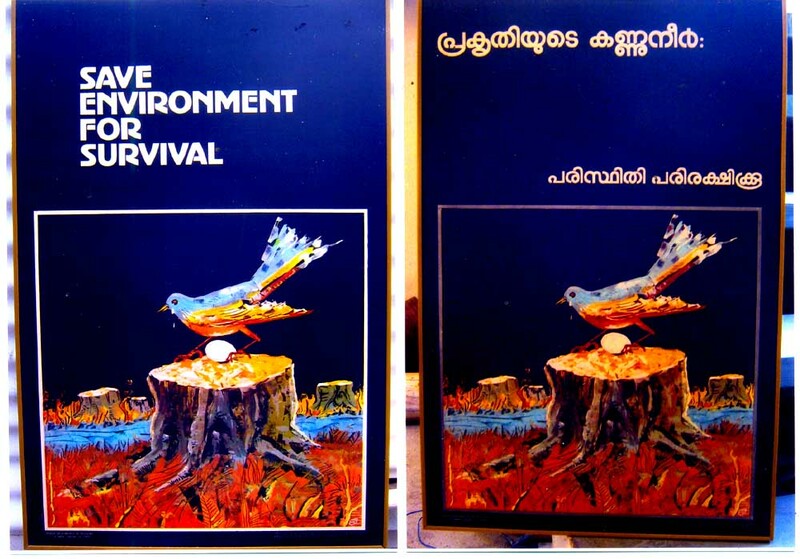 In 1976 he joined the Directorate of Public Relations Government of Kerala as a Designer. 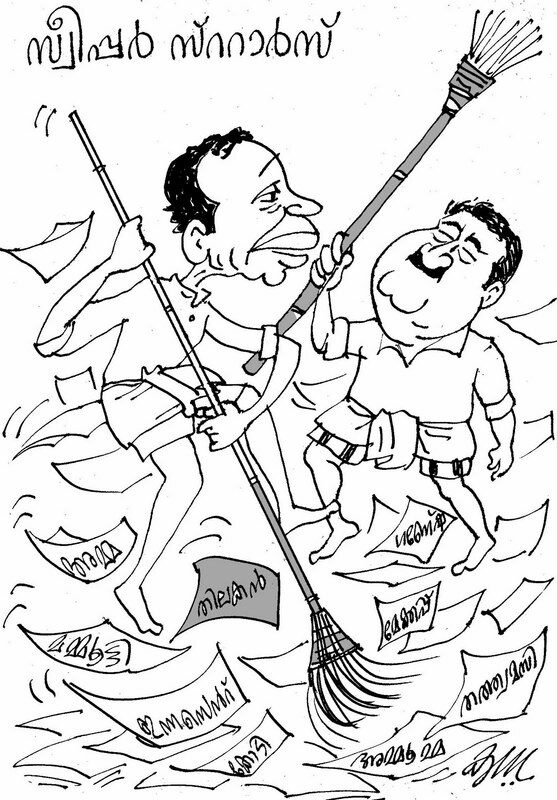 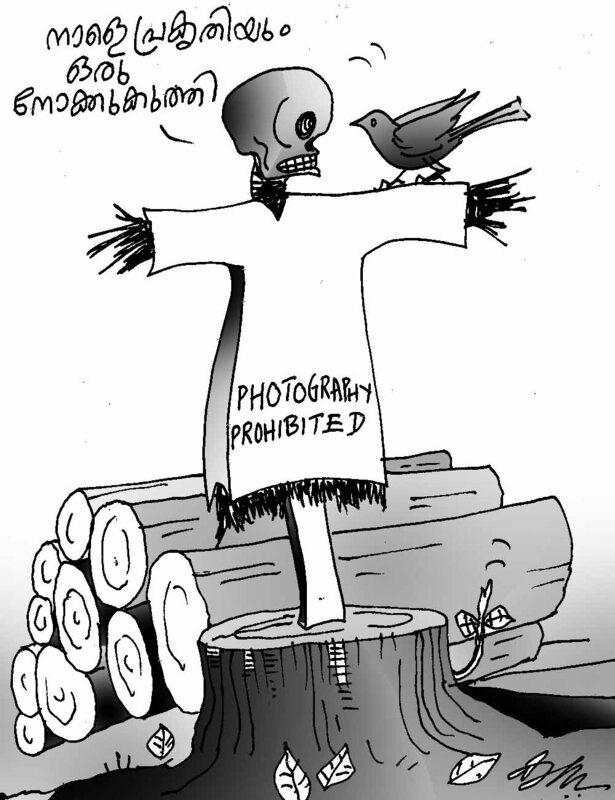 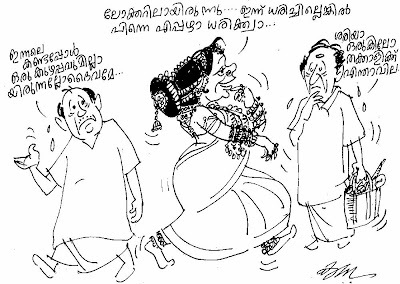 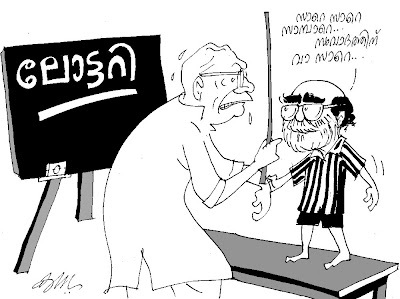 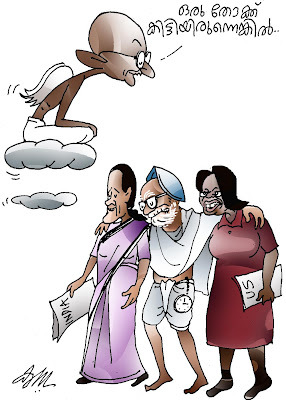 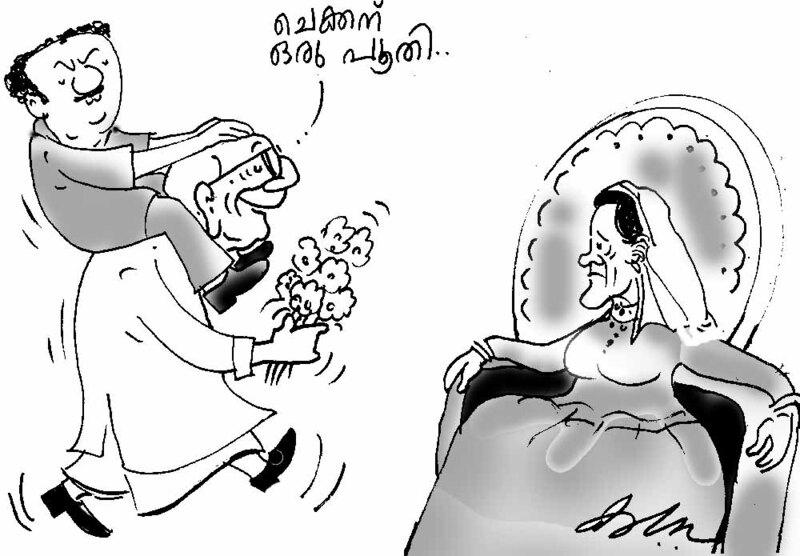 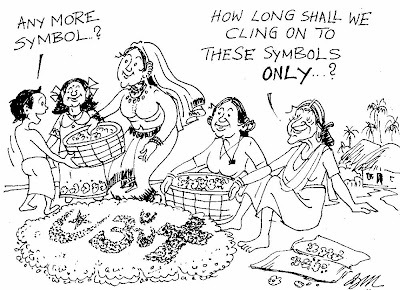 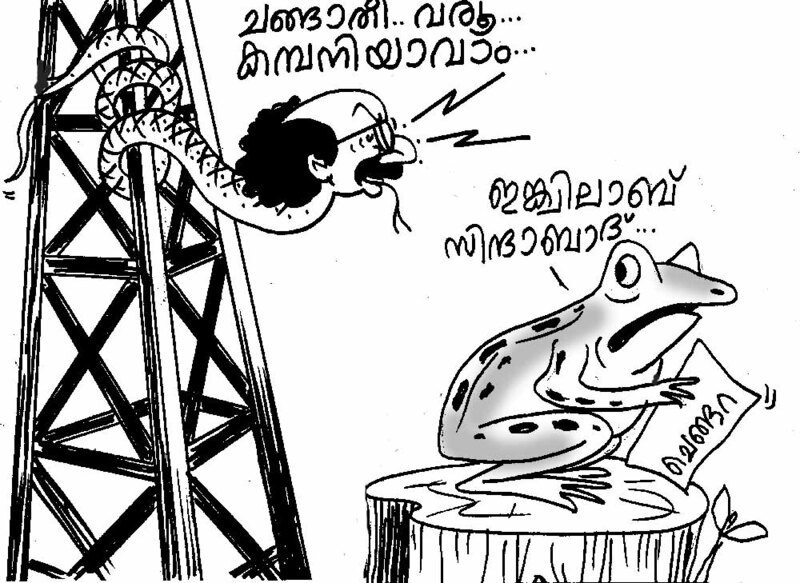 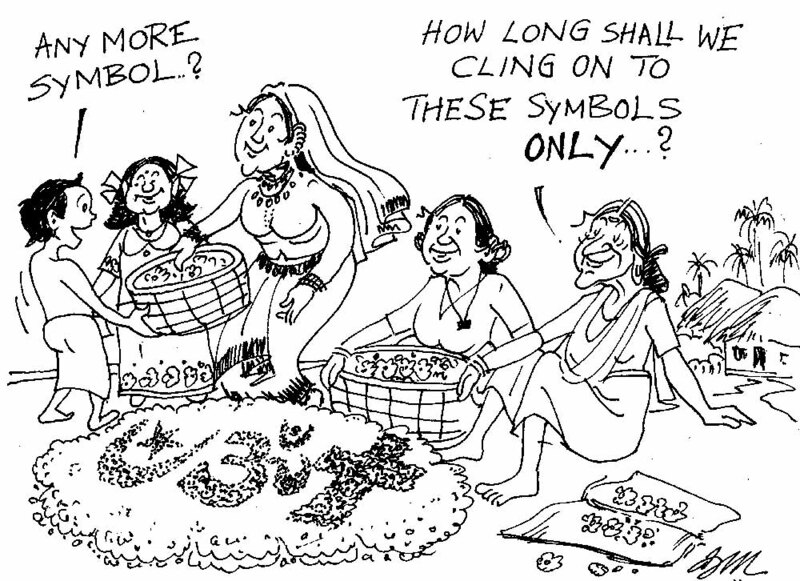 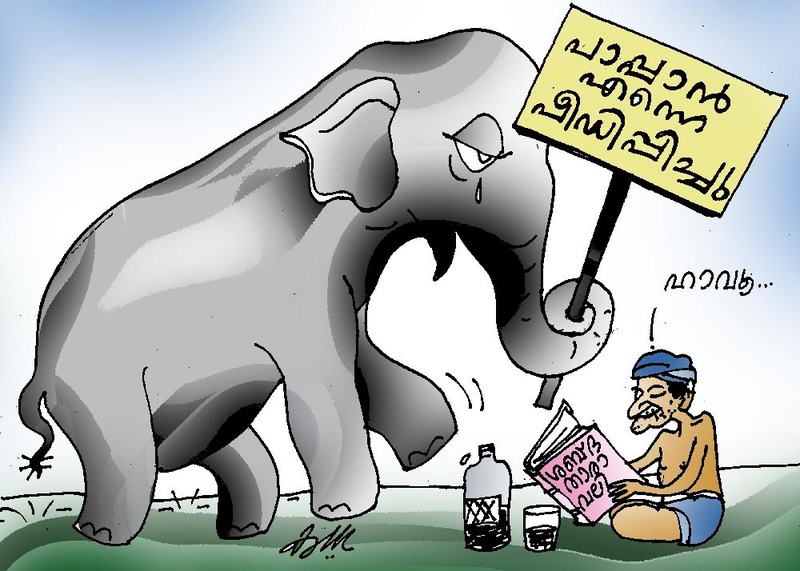 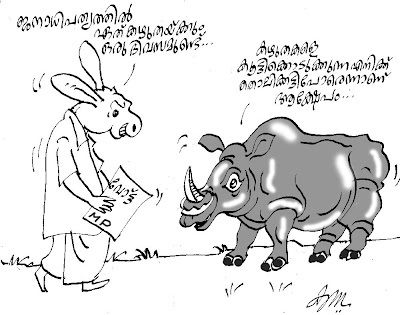 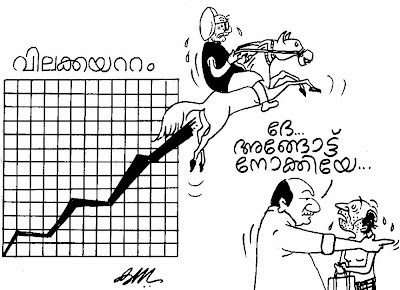 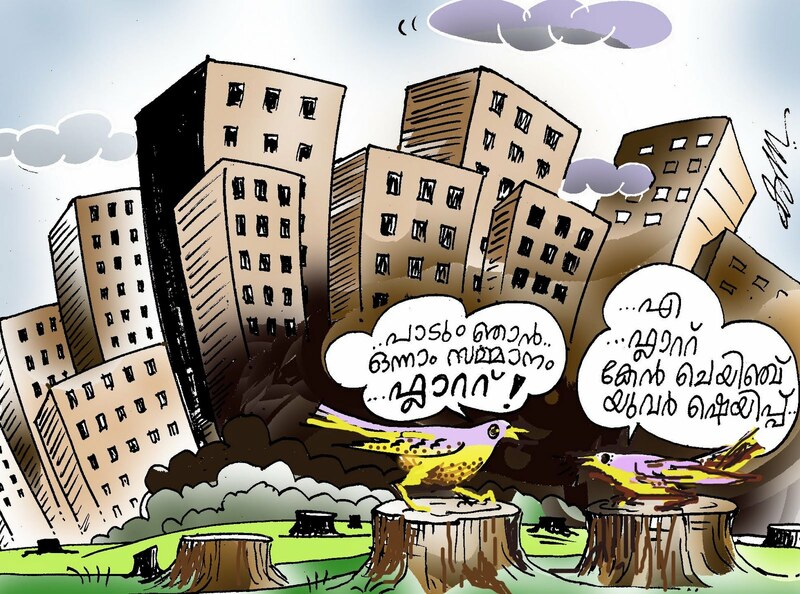 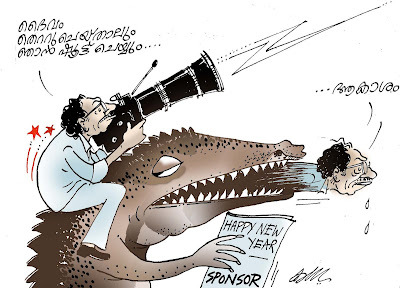 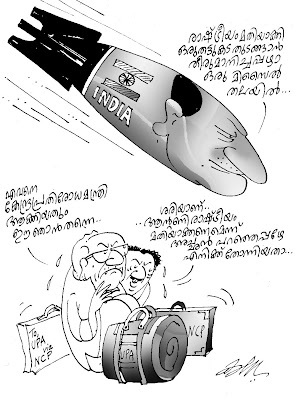 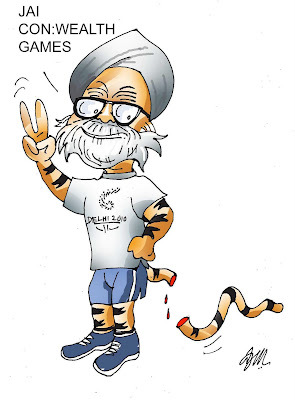 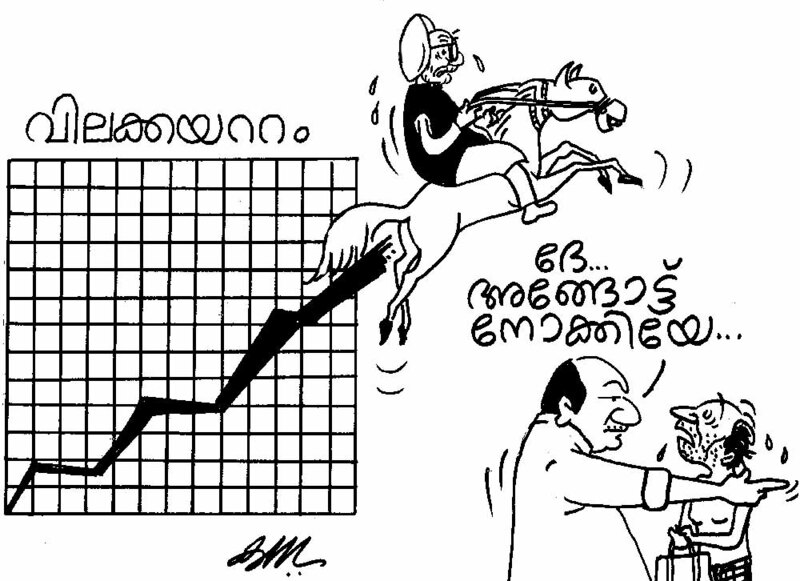 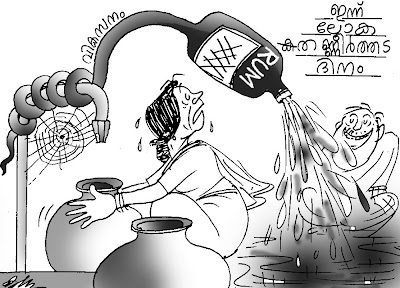 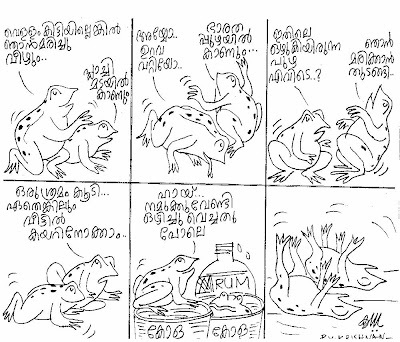 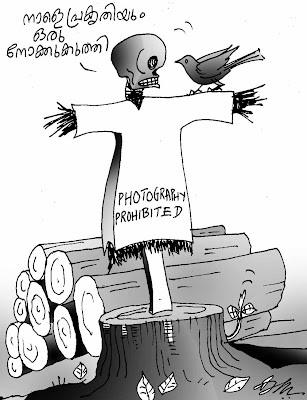 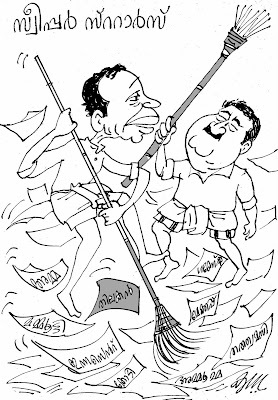 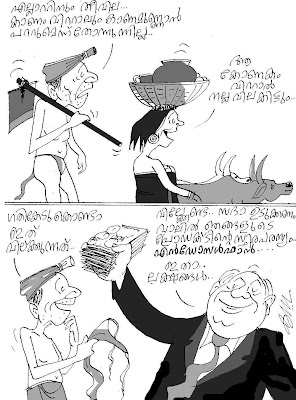 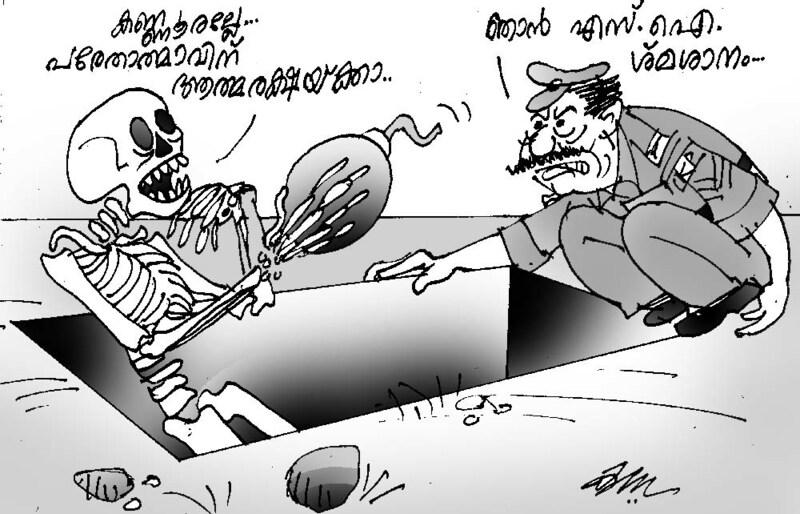 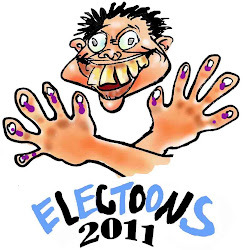 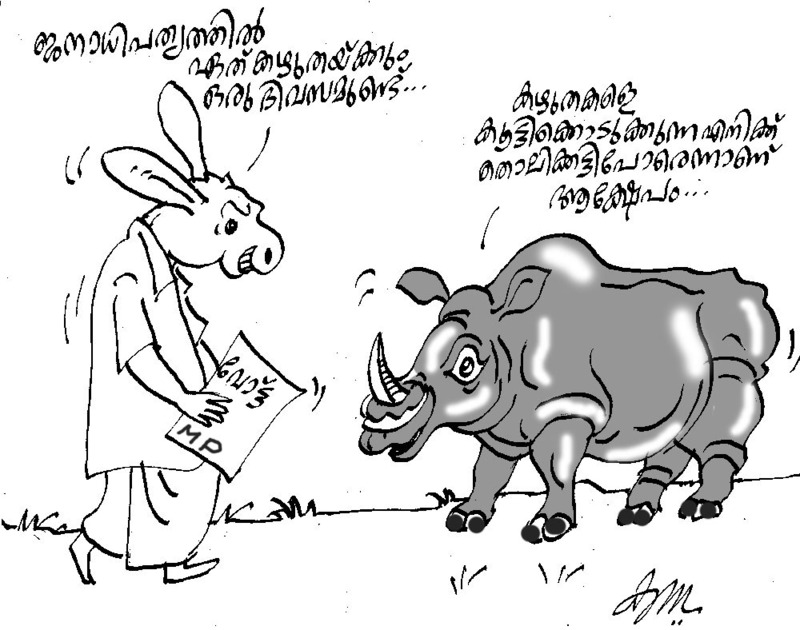 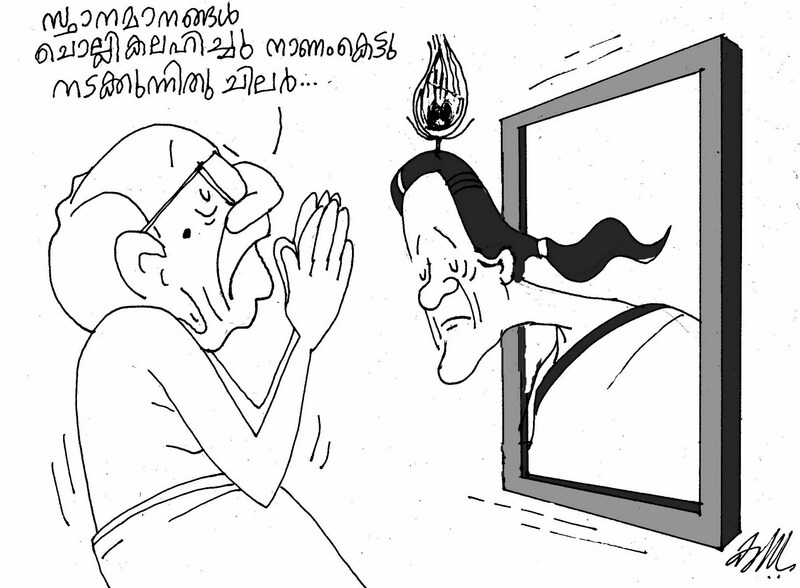 His much acclaimed political satire cartoon series 'SAKSHI' (witness) are being published since 1977 in KUNKUMAM Weekly. 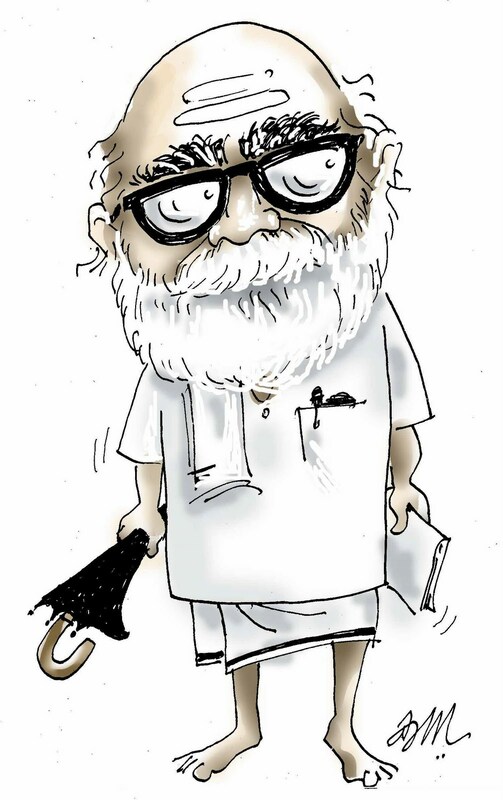 His cartoons are unique with minimum drawings and few words but with powerful messages .Shri P.V. 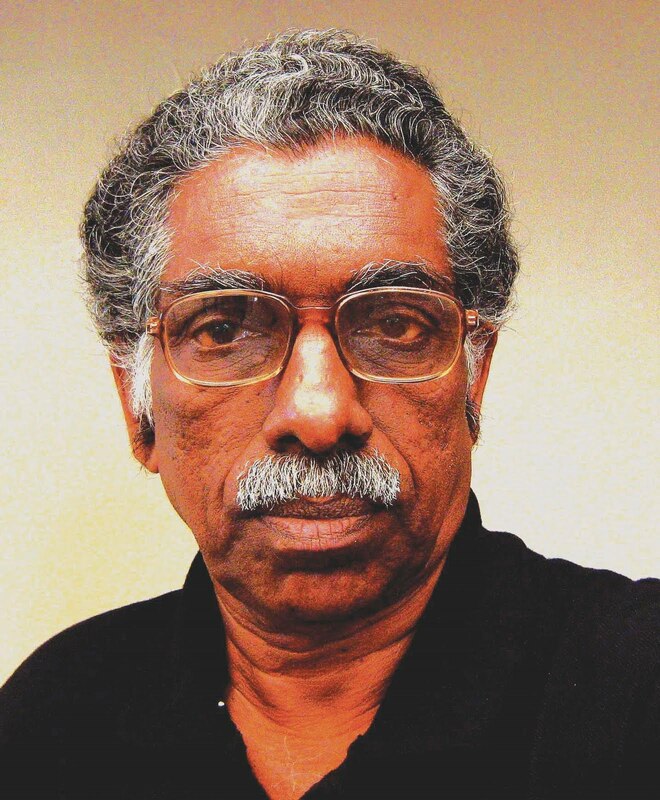 Krishnan is also an excellent photographer and designer. 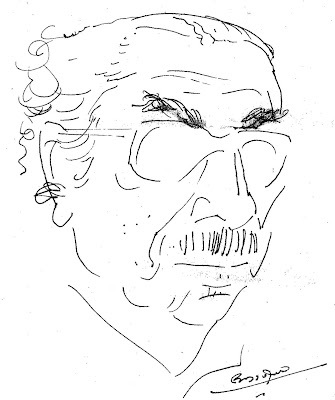 His works were published in many major magazines and weeklies as cover pages .He has anchored many drawing classes for major Television channels. 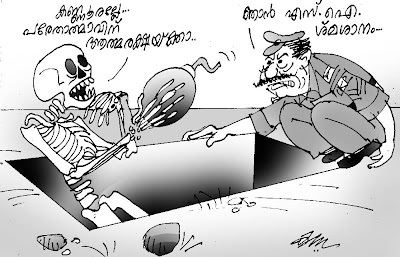 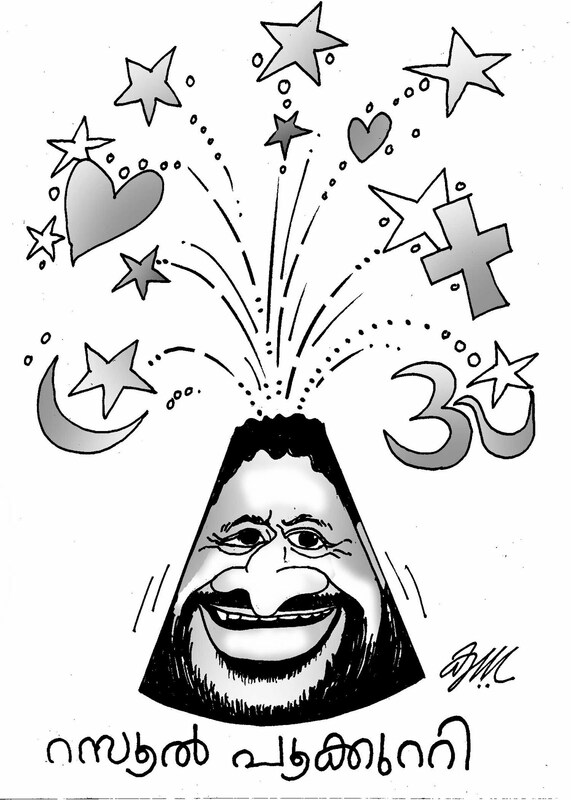 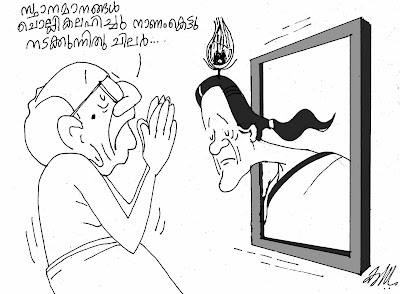 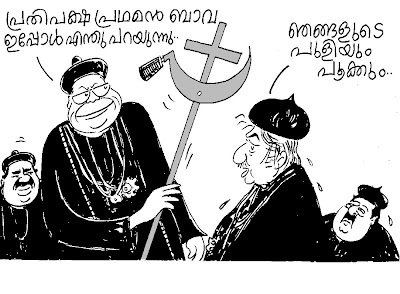 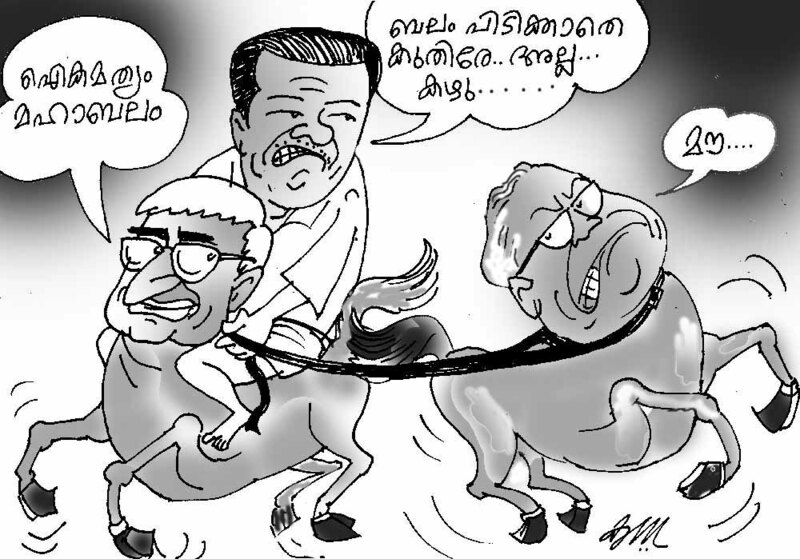 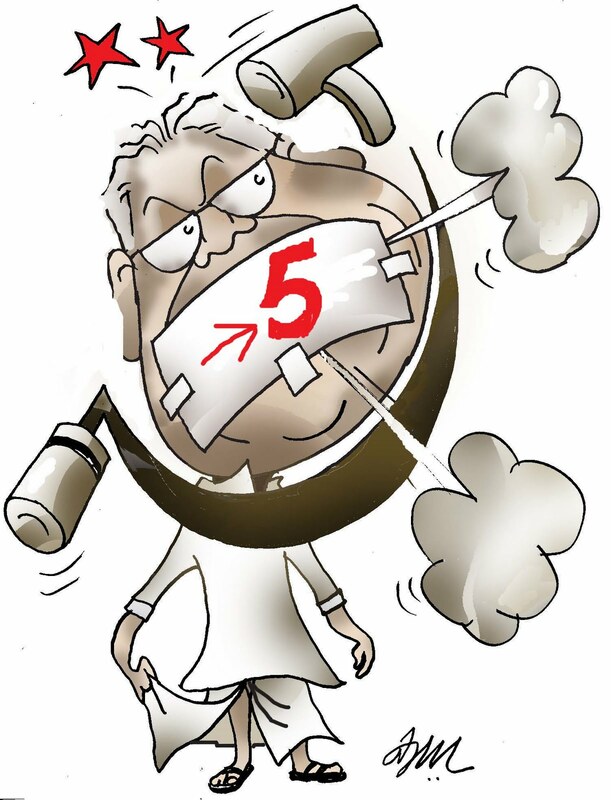 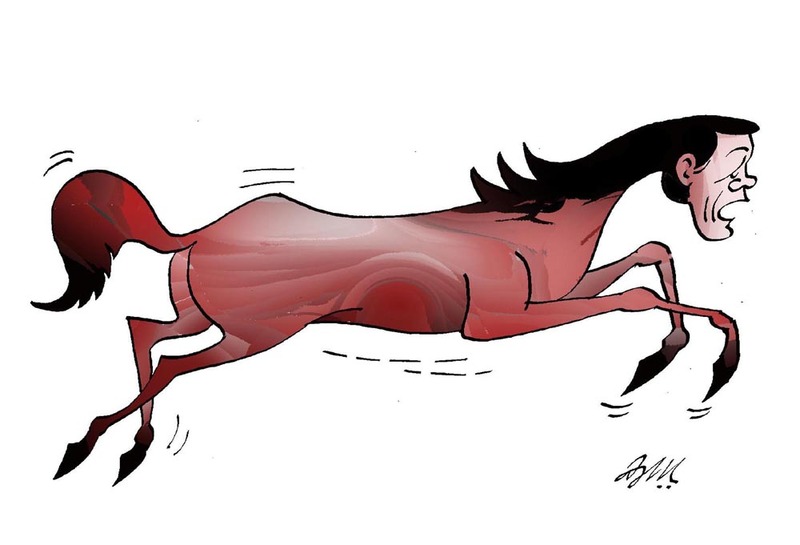 He is still very active in the cartooning field and his cartoons are being published in many leading Malayalam dailies. 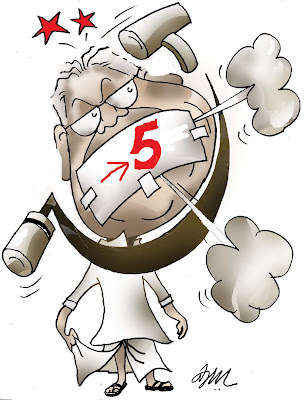 He has bagged innumerable prizes in the field of cartooning, photography and poster designing. hai mashe.... more beautyful and splendid work. 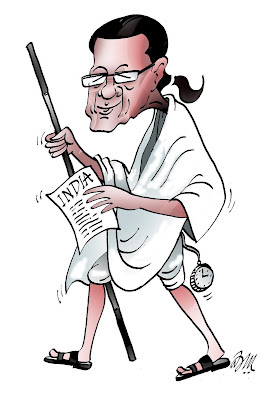 Less liens, More experssions, Best caricature. 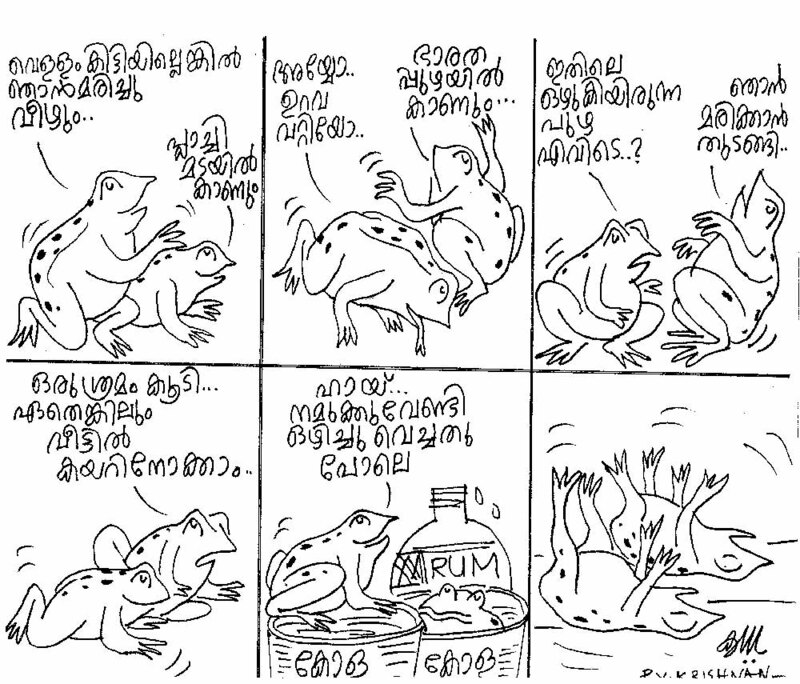 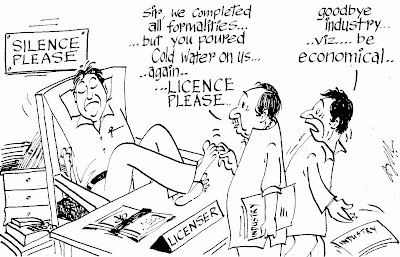 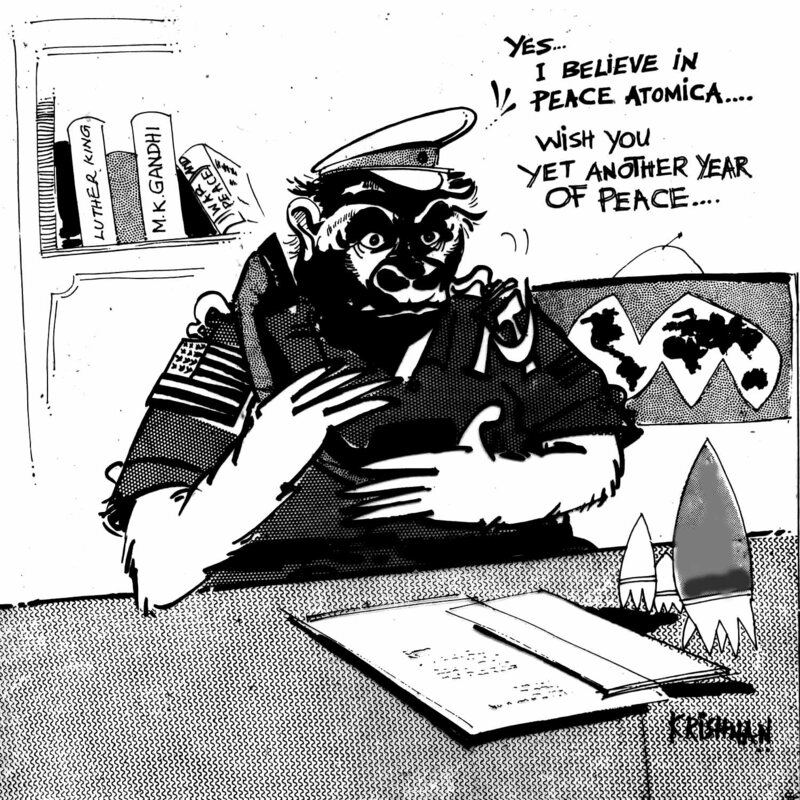 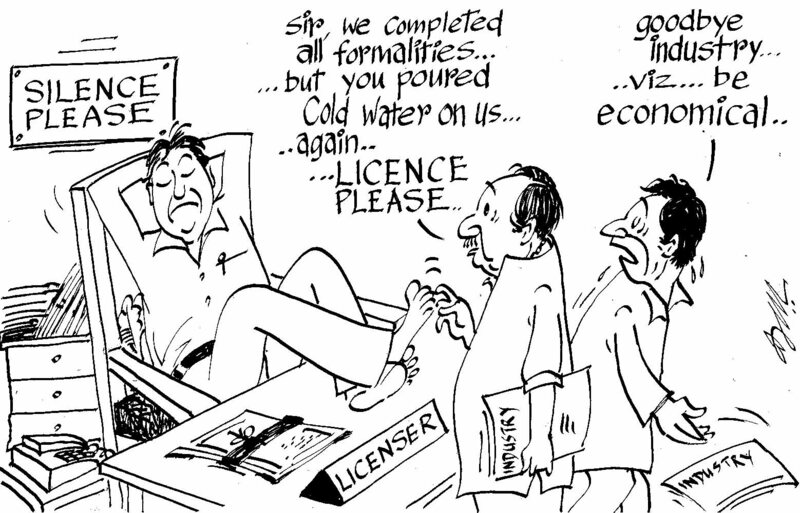 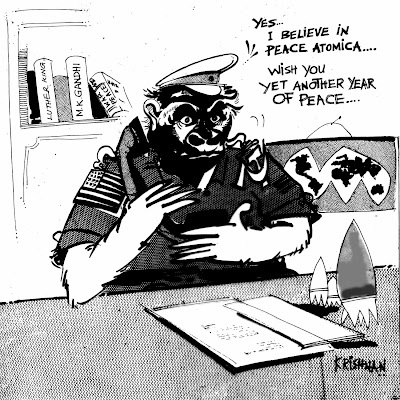 I like very much Krishnans cartoons. 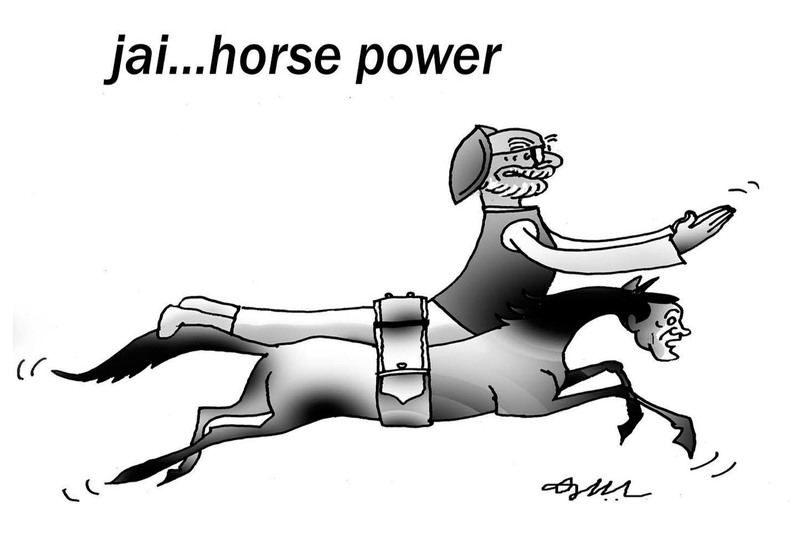 your pen is strong enough to strike the evil forces . 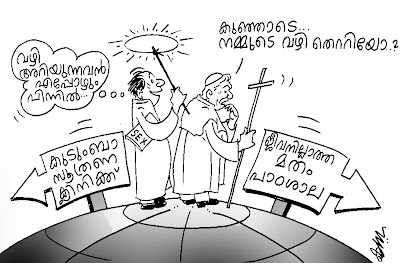 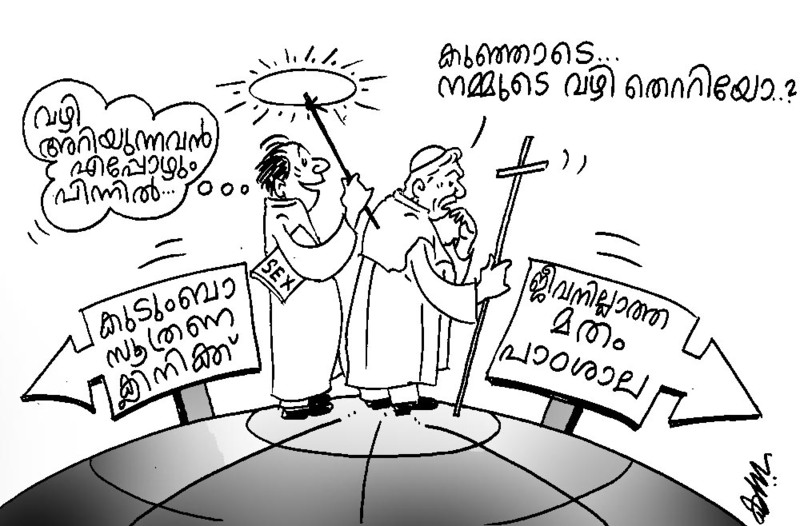 A video programe by Krishnan mash explaining the histoy and development of Malayalam Cartoon world.